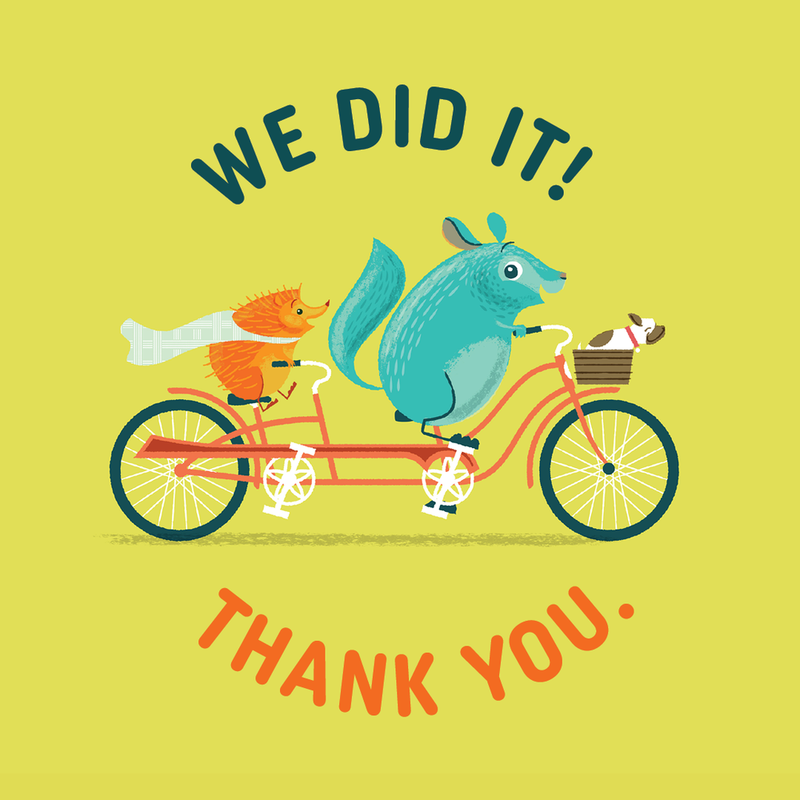 We're thrilled to announce that our 30-day Kickstarter campaign for Chin Up, Chinchilla is complete! We reached our initial goal (within the first five days) and our hearts are full of thankfulness and joy! Full of thankfulness for the 261 wonderful individuals, who supported us with their words and their wallets. Every purchase, share, and note of encouragement has been an overwhelming blessing to us. Full of joy because we are sending out 372 books. That's 372 families who will have an opportunity to talk about the topic of empathy and kindness. The beauty of this still blows us away. In the next 1-2 weeks, we will receive a physical proof sheet to review for printing quality and accuracy. Once that is approved, we'll be ready to give the thumbs-up for printing! We'll be sure to keep you posted with any relevant and/or exciting updates along the way. Miss the campaign or want to buy more copies of the book? We're now accepting pre-orders on our shop!